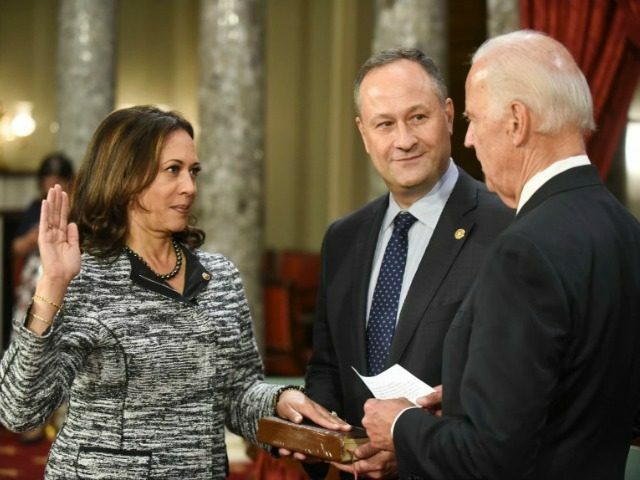 Ta-Nehisi Coates, “The Case for Reparations” author, this week warned Sen. Kamala Harris (D-CA) and former Vice President Joe Biden that they will have to deal with their criminal justice “baggage” in the 2020 presidential election cycle. Coates discussed whether Harris, who has already announced her candidacy, and Biden, who is reportedly 95% sure about running for president, could sustain their popularity with black voters when their criminal justice records become scrutinized even more in the heat of the campaign season. Discussing Harris, Coates said she was similar to former President Barack Obama because there is often a disconnect between her and black activists, especially when it comes to criminal justice issues. In a speech that has been viewed 2.27 million times since she announced her presidential candidacy, Harris then laughed after saying her stance on jailing parents was “controversial” in San Francisco. Harris said she had a “little political capital” and decided she was “going to spend some of it” on the issue. “We recognized that, in that initiative, as a prosecutor in law enforcement I have huge stick. The school has a carrot, so let’s work in tandem around our collective objective and goal which is to get those kids in school,” Harris also said. “If the party’s base now really is black women, she’s right in that lane,” Coates continued. But Coates said he gets worried whenever people like Harris speak so callously about jailing parents.